Focus Home Interactive and Saber Interactive have announced that Spintires: MudRunner – American Wilds will arrive on Nintendo Switch on November 27, 2018. 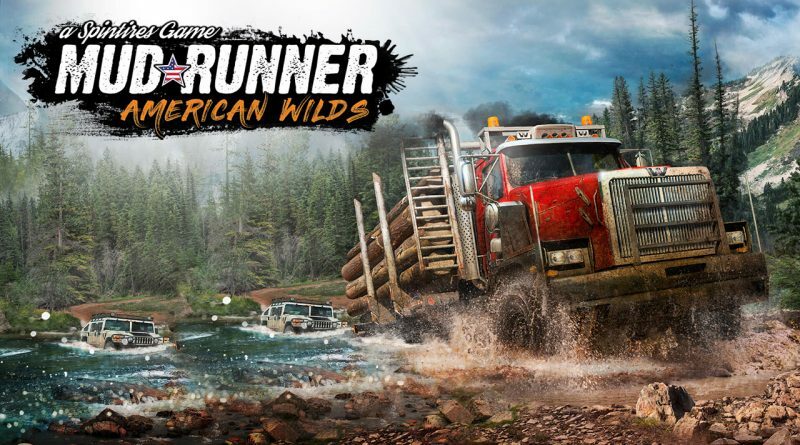 The Nintendo Switch version of Spintires: MudRunner – American Wilds Edition will bring together the new expansion, the base game, and all the DLC content released so far, for a total of over 30 vehicles, 60 add-ons, 10 sandbox maps, and 11 challenge maps. Most notably, it will feature 2 brand new sandbox maps inspired by the rough lands of Montana, North Dakota, and Minnesota, new challenges to tackle, and seven iconic US trucks from household brands like Ford, Hummer, and Chevrolet. Overcome muddy terrain, raging rivers, and other obstacles that realistically react to the weight and movement of your vehicle, powered by the game’s advanced physics engine. Armed with your map, compass, winch, and driving skills, go solo or join up to three others in co-op multiplayer.